Relationships play a very important role in the organizations. In strong and healthy relationships people show respect and kindness towards each other. Such relationships form a rewarding and enduring bond of trust and support. This support leads to successful fulfillment of project or task. When this flavor of ‘relationship centered culture’ is added in leadership, there is a healthy atmosphere prevailing in the organization. Our team successfully completed a half day training workshop on ‘Relationship Centered Leadership’ for one of the leading healthcare providers in India. The program was power packed with high energy self and group reflective activities. 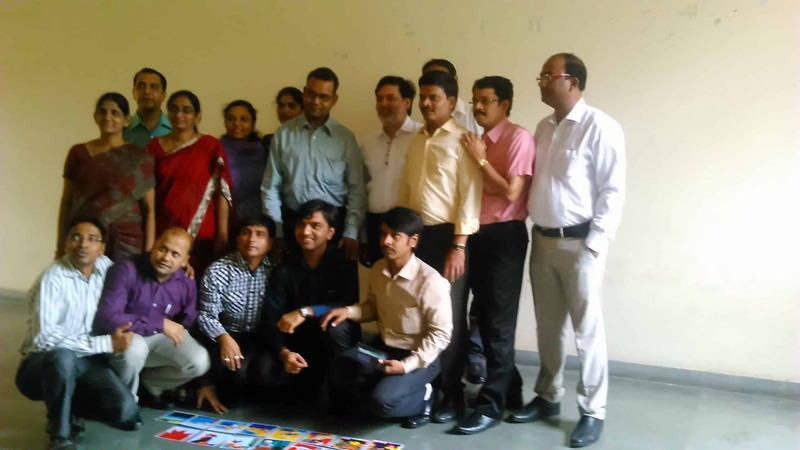 The workshop started with serious personal reflections and entered into an energizing group task which brought out the creative juices of the participants. This led to a debate on the importance of ‘Relationship Centered Leadership’. By the end of the session, there was a sense of great satisfaction among the participants having discovered an effective tool of leadership. On the other hand, it gives us immense satisfaction of driving home the point! Another successful and satisfactory day at work for us!